The Institute for Management and Controlling (IMC) is a leading think-tank in the field of management accounting and controlling, based at the WHU – Otto Beisheim School of Management. It is headed by Professor Jürgen Weber and Professor Utz Schäffer, and bundles the research and teaching activities of university lecturers, doctoral candidates and staff. Thanks to its close links to business practice, CTcon is the ideal partner for the IMC. We support the systematic transfer of research findings into controlling reality. At the same time, the collaboration continuously feeds new aspects and insights into CTcon’s consulting work, which often provides clients with valuable new options. 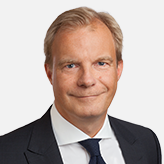 The close and confident cooperation between the IMC and CTcon is reflected in mutual memberships on boards: Dr Christian Bungenstock, one of the founding directors of CTcon, works on the IMC’s advisory board. Professor Jürgen Weber is a founding member of CTcon and chairs its scientific advisory council, on which Professor Utz Schäffer also sits. The purpose of the WHU Controller Panel is to capture benchmarking information and identify best practices. The panel was first constituted in 2007 as an IMC initiative and in close cooperation with the International Controller Association ICV. Its objective is to enable fruitful exchange between research and practice while contributing to the development of the German-speaking controlling community. Under the leadership of Professor Utz Schäffer and Professor Jürgen Weber, important aspects of controlling practice are scrutinised regularly to identify and discuss key trends. “We are pleased to give our members stimulating input for their daily work,” said Professor Utz Schäffer. With over 1,000 members representing the full spectrum of company sizes and industries, the WHU Controller Panel has established itself as an integral part of the German-speaking controlling landscape. Participation is free of charge.